Here's YOUR Top 10 Posts Of 2017, Supernatural Undergrounders! What better time to look at the Supernatural Underground posts YOU loved the most in 2017, dear Undergrounders, than on the very last day of the old year. 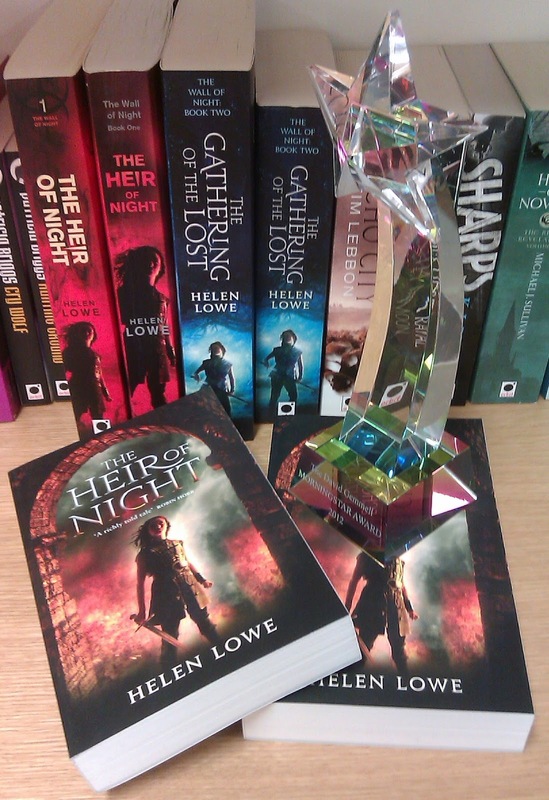 Paul Weimer's wonderful post charting the development of epic fantasy and extolling Helen Lowe's multi-award-winning The Wall Of Night series was our most-read post of 2017. 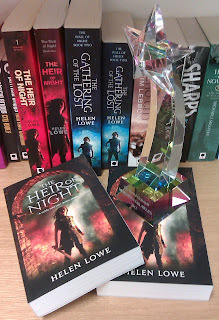 "Helen Lowe’s The Wall of Night series stands as a formidable entry in the realm of epic fantasy..."
And thank you, Paul, for a "Super" contribution! 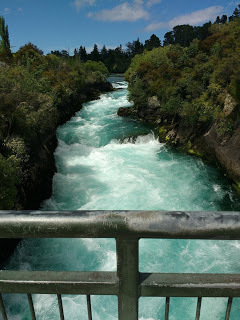 Though pipped at the post by Paul's fabulous post, you all loved Helen Lowe's new year post, with its lovely photographs of some "Middle Earth" scenery, as well. 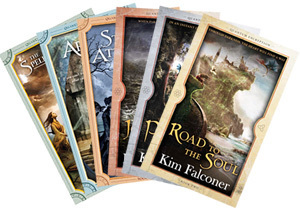 "A major trope of epic fantasy ... is the "road trip" ... and part of the Fantastic Road Trip is that one should visit previously unknown terrain and climes..."
Looking at those lakes, mountains, and rivers, we can well understand why you all came, looked, and lingered. 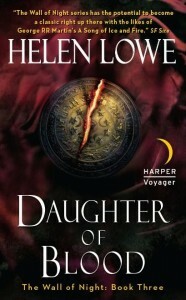 "I'm sure you all agree that one of the most important things that "makes" a book is the characters..."
Apparently you do all agree, because y'all rocked on up to read this introduction to the major characters in Helen Lowe's Daughter Of Blood. To meet or re-meet those characters again, click here. "Today I wanted to turn on all you writers - aspiring or fully accomplished - to the notion of Mood Boards..."
Having traversed the "What Is", "Uses", "How To" and "Samples", we believe Kim's post succeeded expectations. Judging by the number of readers, Supernatural Underground friends and followers must have agreed that Helen had given us food for thought. Here at Supernatural Underground HQ we're huge fans of Amanda Arista's humorous and self-deprecating post series: in 2017 titled The Things I Carry. 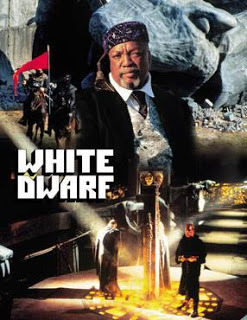 And Now I'm Just Dating Myself takes a stroll through three of Amanda's favorite 'carry with' movies, with a focus on White Dwarf. "Ah White Dwarf. How do I describe you?" Needless to say, Amanda does describe why it's a thing she carries. And we can well understand why this post resonated with you as it did with us at the HQ. To read all about it, click here. Romance is heartland Supernatural Underground territory, so no surprises at all that Helen Lowe's post on five of her Fantasy genre favorites struck a positive chord. 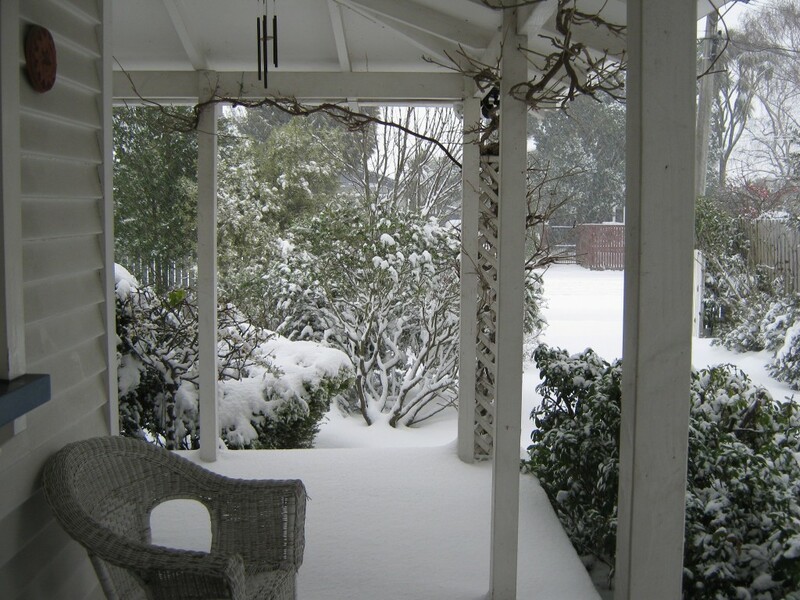 "Early last month, my fellow Supernatural underground author, Amanda Arista, wrote here: 'I know that this is supposed to be an all things fiction blog, but I find myself ruminating on Romance recently.' 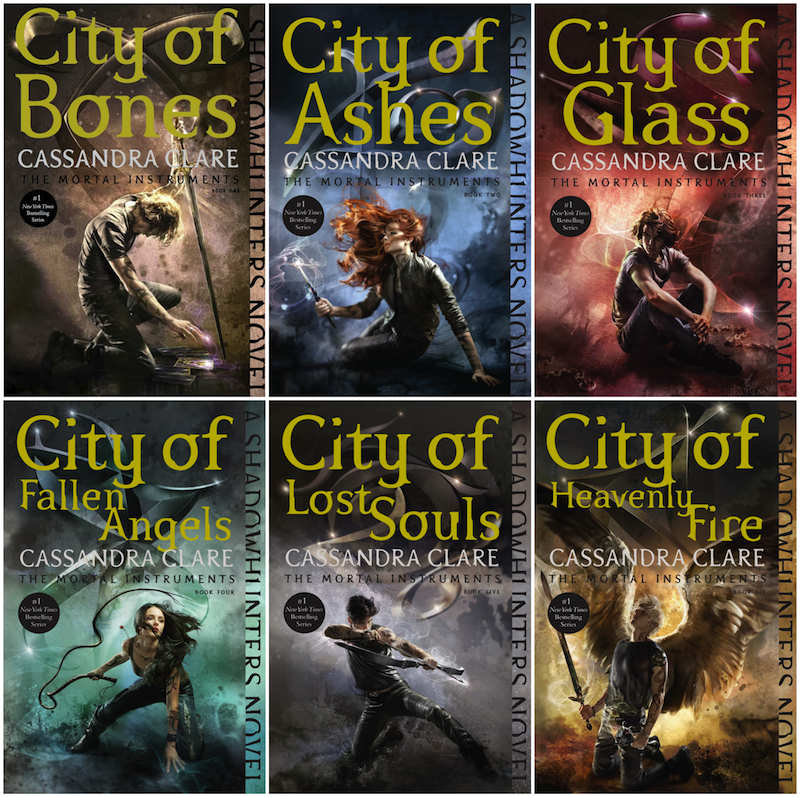 "
To check out the five books, click here. Just to prove our point that romance themes make the Supernatural Underground heart beat faster, Kim Falconer's delving into the weirder side of fictional romance was also right up there in terms of grabbing your attention. "Here at the Sup, we often write love interests who are different species, from alternate times, dimensions or universes..."
To delve further into Kim's insights on mortals and monsters, click here. It's not just romance, magic, and adventure! 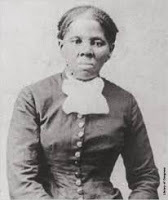 Here at Supernatural Underground we're all about the heroines, too, and on April 1 Helen Lowe checked out some of the ingredients that make a great Fantasy heroine, like her own Malian of Night, Kim Falconer's Ava Sykes, or Amanda Arista's Violet. 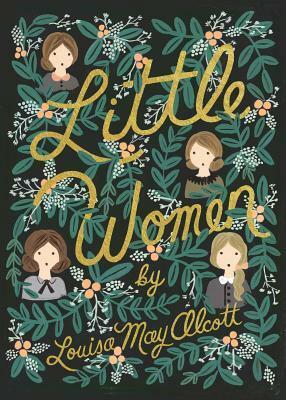 "One of the factors Fantasy heroines often have in common, whether dealing with the stuff of everyday life or the fate of worlds, is resolution in the face of difficulty..."
If that spurs your resolve to read on, click here. Meanwhile, we're glad that the ingredients of a Fantasy heroine matter as much to you as readers, as they do to us as writers. And there it is — YOUR top 10 for 2017! Our warmest wishes for the Holiday Season! Personally we feel we can never get enough of books either, and whether in an armchair by a fire or on a deck chair at the beach, a good read is the perfect holiday companion. 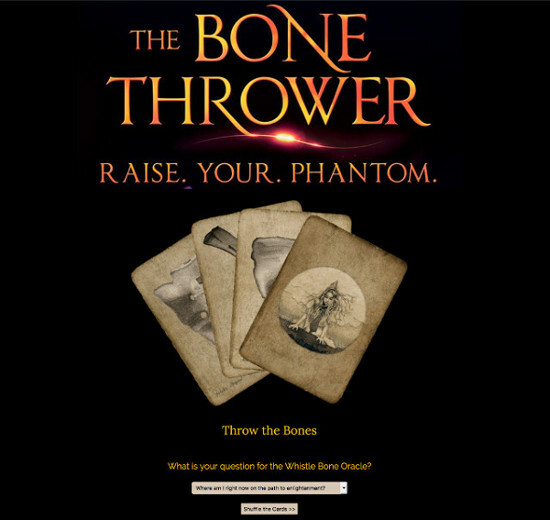 Following on from last month's post, Seers and Storytelling, I have a fun exploration today - The Bone Thrower's Oracle, an online tarot card reading for you all to try. Writing under my pen name, you can find the online oracle at AKWilder.com. In this new YA fantasy series, coming out in 2018, the fate of the world hinges on the throw of the bones. Black-robed savants, who raise nebulous phantoms and carry bags of whistle bones carved from human skeletons, control the realms. They keep to themselves in underground catacombs or temples near each sanctuary, carrying out their responsibilities – discerning the best times for planting, harvesting, hunting and war, providing counsel to the high savants and magistrates, archiving the records for each cast of the bones, and most important, determining the fate of Amassia’s children. The black-robed bone throwers visit the home of every child, searching for potential savants. A shake of the pouch, a toss of the bones, and the youngster’s future is sealed—either to trial at the sanctuary when they turned eight years old and, hopefully, raise a phantom and become savant, or, like so many, be found lacking in potential, classed forever as non-savant. Worse yet if the throw of the bones shows them marred, damaged in some way, seen or unseen. Those children are sacrificed to the sea. 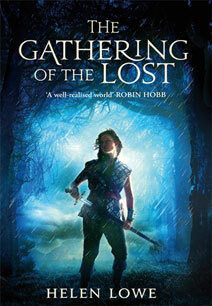 The tradition has governed the realms for thousands of years... until Ash is born. What her bones foretell, no one in the world is prepared for. If you want to see what message the oracle has for you, a black-robed savant is waiting to throw the bones and answer your most burning questions. Go to AKWilder.com and have a go. It's the beta version, so please feel free to offer comments and suggestions for the upgrade. Thanks, Everyone, and have a wonderful holiday season. Kim Falconer's latest release comes out in 2018 - The Bone Throwers, book one in the Amassia series, writing as A K Wilder. Find her new page on Facebook - AKWilder Author and on Twitter as AKWilder. Her latest novel is out now - The Blood in the Beginning - and Ava Sykes Novel. 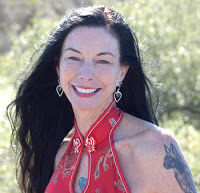 Learn more about Kim on Facebook and chat with her on Twitter. Check out her pen name, @a.k.wilder on Instagram, or visitAKWilder on FB and website. 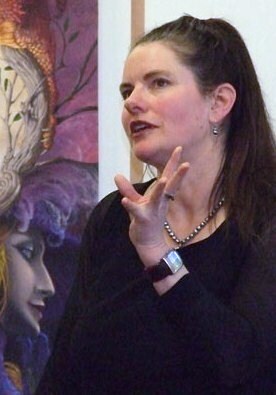 Kim also runs GoodVibeAstrology.com where she teaches the law of attraction and astrology. Kim posts here at the Supernatural Underground on the 16th of every month, hosts Save the Day Writer's Community on FB and posts a daily astrology weather report on Facebook. 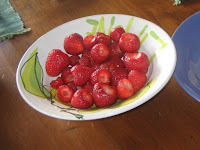 Hello, lovely blog readers! I'm so excited to share my brand new release with you! Just a quick update: The winner to my giveaway was Anthony! Congrats, Anthony! I'll be sending you the Kindle Fire and a digital copy of my book, Fairytale Christmas! FAIRYTALE CHRISTMAS is currently available on Kindle, in paperback, and will soon be released as an audio book on Audible. And the digital version is only .99! Before history began, a legendary queen battled a foreign army, braved the death of her husband, and faced betrayal at the hand of someone she trusted. 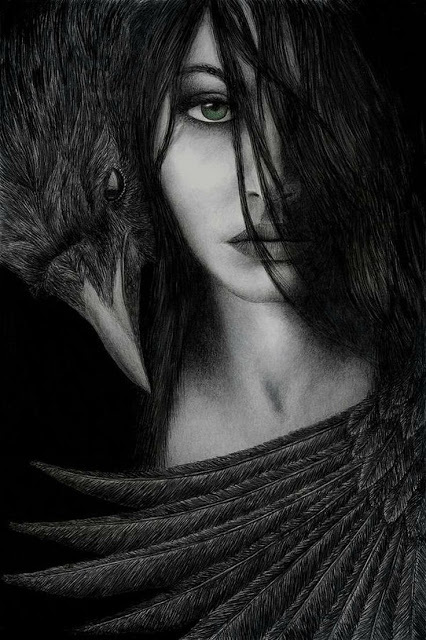 This is the story of Eire, Queen of the Faeries, the Immortal One, and the leader of the Tuatha de Danann. To this day, her homeland, Ireland, bears her name, and this is the story of the war that drove the Immortal Ones into exile. 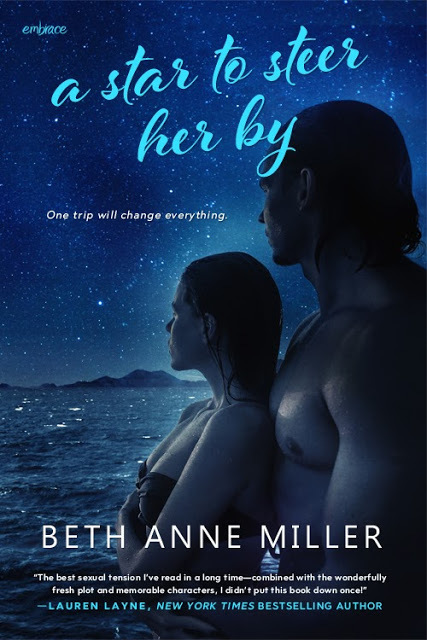 It's also the tale of how she found help from an unexpected place, leading her to a love like she had never known before. 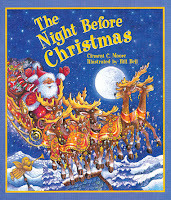 Fairytale Christmas is a story that spans thousands of years. It's also the beginning of all of our fairytales and legends; it's where mortals and immortals survive because they love one another, proving that love is the greatest gift of all. This is the first installment in the Saga of the Fair Folk, a journey that lasts until the end of time. You can read a first chapter excerpt HERE. I hope you all get a chance to read my new release and I really hope you enjoy it! 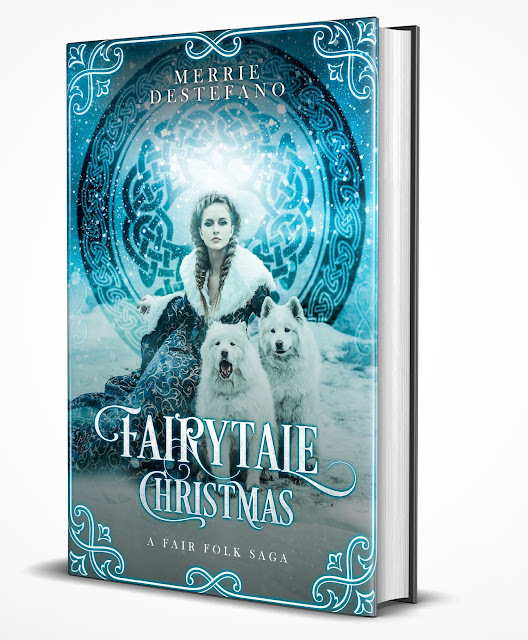 Also, to celebrate the Release Day of FAIRYTALE CHRISTMAS, I'm hosting a giveaway. I'm giving away a KINDLE FIRE and a digital copy of FAIRTALE CHRISTMAS. PLEASE JUST CLICK THIS LINK TO ENTER. 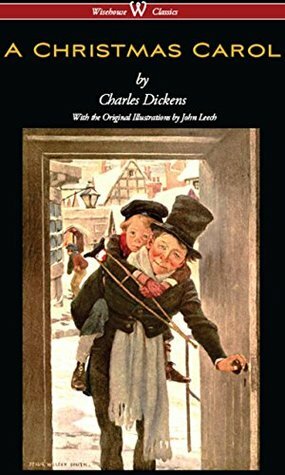 "It was a sledge, and it was reindeer with bells on their harness ... And on the sledge sat a person whom everyone knew the moment they set eyes on him. He was a huge man in a bright red robe (bright as holly berries) and a hood that had fur inside it and a great white beard that fell like a foamy waterfall over his chest..."
"All Christmas days at Drover's Road seem to get mixed up in a sort of special excitement : the early mornings and stockings hanging at the foot of the bed ... the long day getting hotter, and lamb for dinner, with mint sauce and peas and new potatoes ... lying out under the cherry tree on the lawn with our new presents, and having afternoon tea there with iced biscuits and Christmas cake. Then dusk coming at the end of the long lovely day..."
One of the most famous stories with a Christmas setting is, of course, Charles Dickens' A Christmas Carol, in which the now legendary Ebenezer Scrooge must rediscover his humanity with the help of the Ghosts of Christmas Past, Present and Future. "This boy is Ignorance. This girl is Want. Beware them both, and all of their degree, but most of all beware this boy, for on his brow I see that written which is Doom, unless the writing be erased." 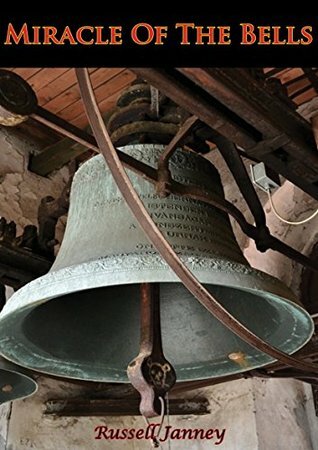 Another book that was hugely successful in its time (1947) was US writer, Russell Janney's The Miracle of the Bells, which has a famous Christmas scene, in which two of the protagonists, Bill Dunnigan and Olga Treskovna, re-meet by chance in a town that is completely closed down on Christmas Eve. The only restaurant they eventually find open, is Ming Gow's Chinese Restaurant, where the proprietor, Ming Gow, "...refused, obdurately refused, to accept payment for his fare." "This place boasted that it was a "city of homes." ... No one but a homeless man can understand the utter loneliness of a stranger on Christmas Eve in a "city of homes." 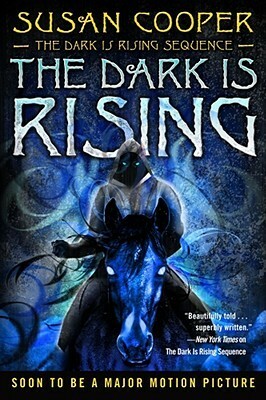 This post isn't intended to be an exhaustive list, so I'm sure – and hope, too – that you'll have other titles to add, but since the Supernatural Underground is a speculative fiction community, I'm going to end with a Fantasy classic, Susan Cooper's The Dark Is Rising. 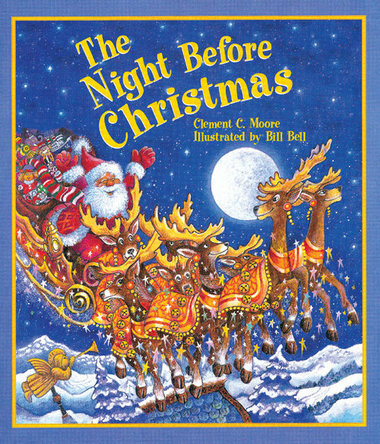 Quite aside from being a contest between Light and Dark, the protagonist, Will, must find six "Signs of the Light" before Twelfth Night – so this is definitely a Christmas-centered book. I won't be back here again until New Year's Day, 1 January 2018, so to those who celebrate Christmas, Merry Christmas – and otherwise I hope you all have a relaxing and enjoyable holiday break. 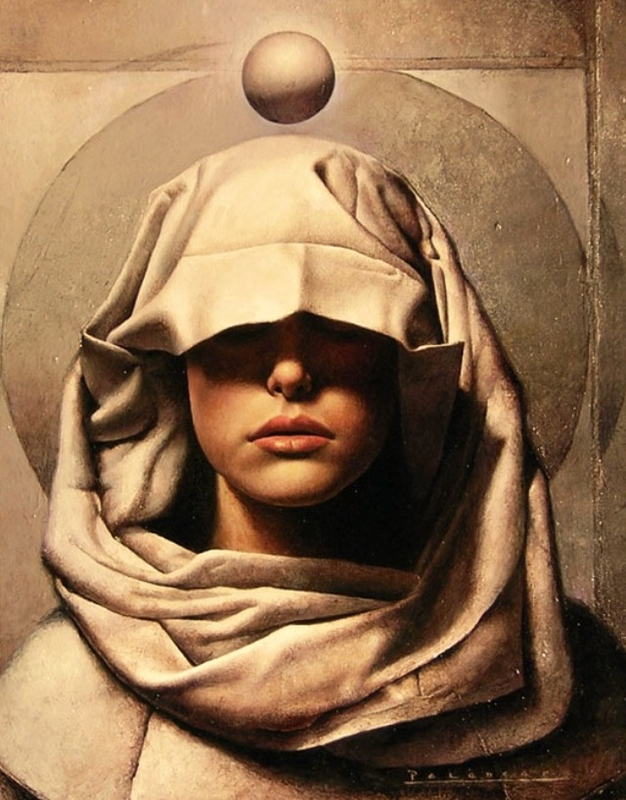 Seers, psychics, oracles, mediums, prophets, diviners, astrologers, tarot readers, or even those with a smoking hot intuition, can play a powerful roles in speculative fiction. Our genre is rich with it, and has been for thousands of years. 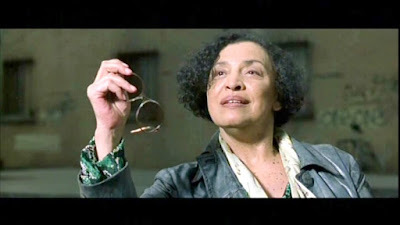 From Homer's Pythia, priestess of Apollo, to Tolkien's Galadriel and her mirror, the Oracle in the Matrix to Whedon's River Tam in Firefly, the seer can move the story forward in tantalising ways. But writing a prognostic character has it's problems. All that foresight may just as easily ruin a plot as empower it. If your protagonist can see into the future, the surprise is gone. 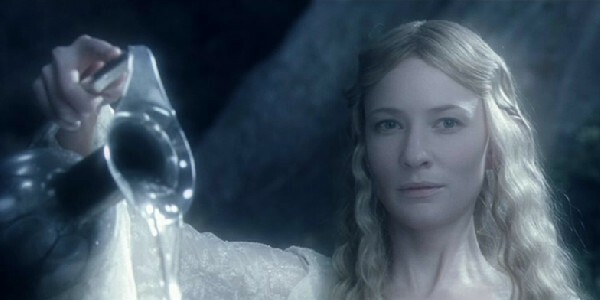 In LOTR, Galadriel's mirror shows past, present and future events, from near or far, but is never clear on which is which. Both Sam and Frodo are invited to look, Sam seeing the destruction of the Shire and Frodo nearly touching the water with the ring (which would reveal his whereabouts to Sauron). In these cases, interpretation of what is foretold is critical to what comes next. Sam choses to stay with Frodo, even though he longs to rush back to the Shire. Frodo, on the brink of losing heart, soldiers on. Regardless of 'fate,' they make a choice, one of the key ingredients to plot propulsion. From the Matrix, the Oracle's ability to "predict" the future is based on recognising choices before they are made. Yet telling Neo he is NOT the one is precisely what makes him begin to believe he is. In this way, the writers have created a character who can see the future but in doing so, creates a third choice that changes everything. 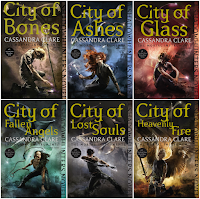 In Cassandra Clare's City of Bones, if the tarot reader was on the ball, Clary's mother wouldn't have been kidnapped and the Mortal Cup never lost. Story over in chapter one. But instead, we get glimpses, hints and more mystery. Dorthea's seeing ability moves the story forward , without giving away the plot. In Helen Lowe's The Wall of Night Series, the Derai prophecy says "If Night falls, all fall", which instead of foreshadowing future events, becomes a rally cry, or goad, to both sides, those who want Night to fall and those who don't. It's also a touchstone for Malian and Tarathan who have seer qualities of there own. In the Quantum Enchantment and Quantum Encryption series, Jarrod's ability to extrapolate a likely outcome is based on infinite possibilities calculated outside of matter, and Kreshkali's understanding of astrology and synchronicity all play a part. But, like the Oracle of Delphi, Derai, and the Matrix, all seers perhaps, it is the free will of the characters that tips the scale. And we need it that way. Otherwise, what would have us on the edge of the seat, wondering what will happen next? We'd love to hear about your favourite prophesies and diviners in books, film and TV. Drop a comment, and we'll see you there. 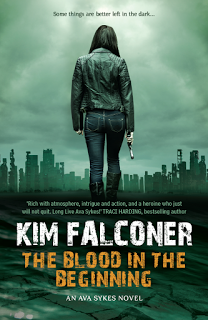 Kim Falconer's latest release is out now - The Blood in the Beginning - and Ava Sykes Novel. Speculative Fiction(Fantasy/Thrillers/Sci-Fi/Urban Fantasy) for adults and teens. A group of best-selling authors provide news, reviews and interviews from the darker, more speculative side of fiction.